Today Saturday, there will be a full island on the Hönö Trubaduren with The Fuzes (interpretations of Jimi Hendrix) and that we are raising the flag for the 50th anniversary of the Woodstock festival. 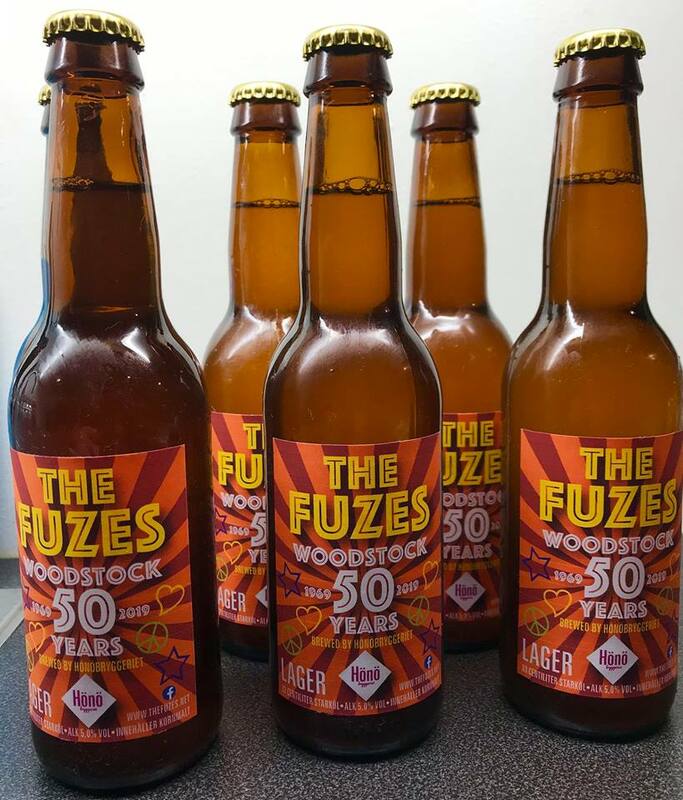 We celebrate this with our own beer (The Fuzes Woodstock Beer) Available in the bar. If you wish to book this band, just contact us on this page. My old friend Chitral Somapala since 20 years and I am now ready and ready with our band. Even our debut concert is confirmed in Sri Lanka. 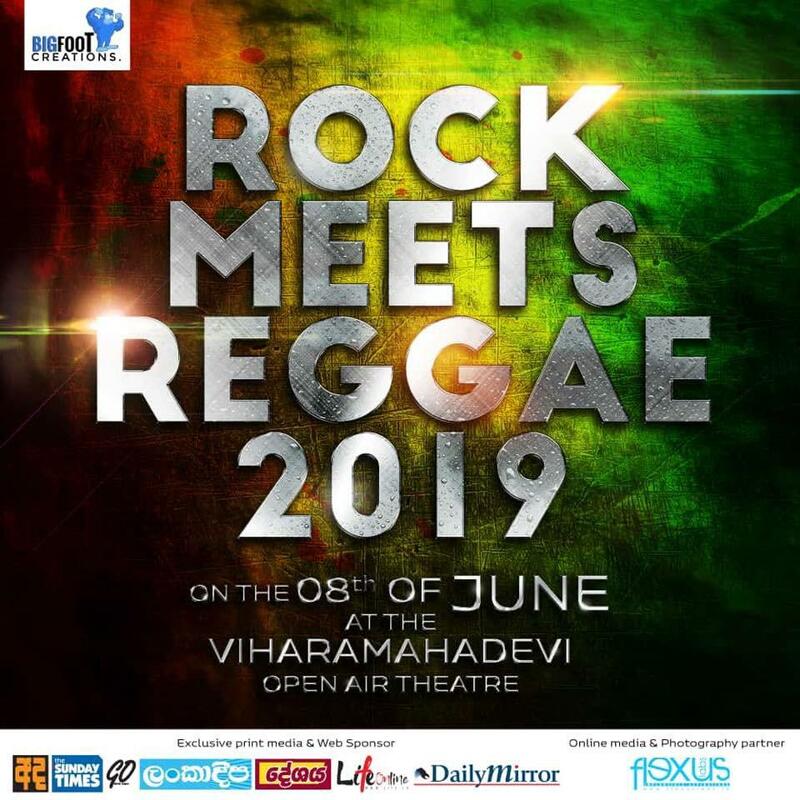 It is an old fine festival where both rock and reggae get together about the stage. Talk about folk party in the Paradise !!!! The members of our new band will shortly be announced. Just as the band’s name! In the fall, we will record our debut album. So keep your hat for those who like rock music. Soaré bjuds på en av dom äldre gatorna med historia från 1600 talet. Gatan slingrar sig ända bort till Bohusfästning i Kungälv. I ena endan av gatan kommer Magnus Rosén och George Keczan att bjuda på Soaré med klassisk musik, lite folkton samt klassisk musik av i dag. Musiken kommer bl.a från Johann Sebastian Bach, men också från Svenska folkvisor. 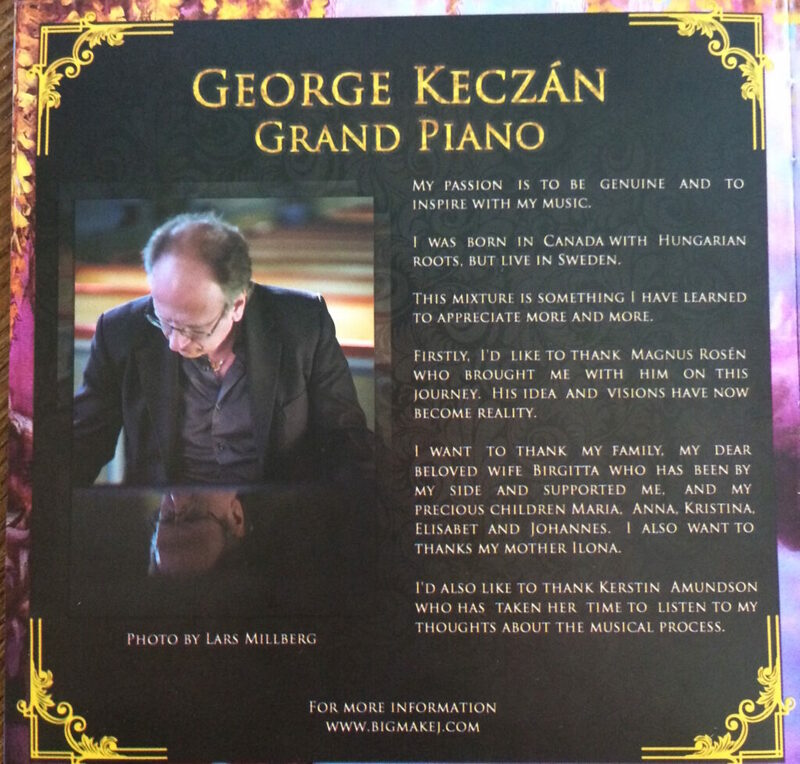 Detta blandas upp i nyskriven musik av Magnus Rosén och George Keczan. Bl.a. Kommer musik från senaste albumet The World Changes att spelas. Tid 16.00 att bjuda på klassisk musik med Piano och el-bas. Ett glas vin eller lite mat går att avnjutes denna söndag med vacker live musik. Även fika med gott tillbehör. Önskar du boka denna typen av uppträdande är det bara att höra av sig på denna sidan till mig. Nutidens möjlighet att lyssna på en Soaré. 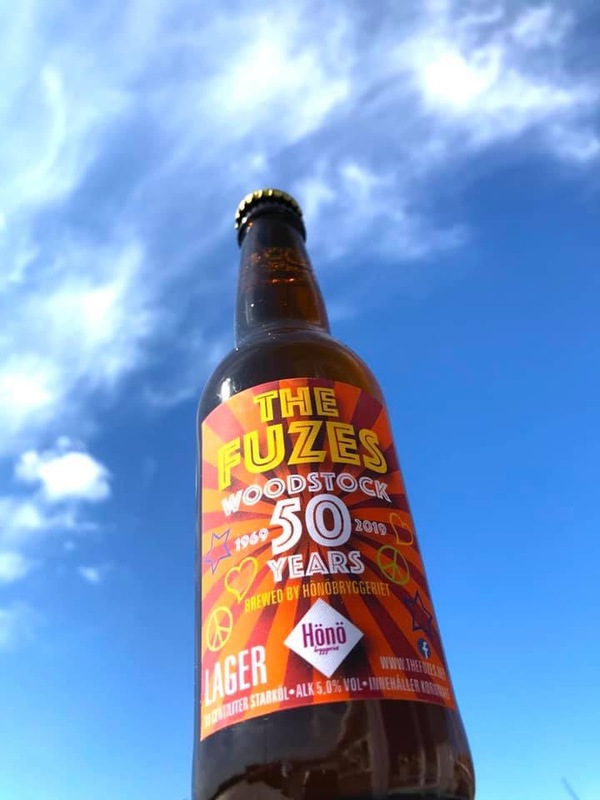 On Saturday, there will be a full island on the Hönö Trubaduren with The Fuzes (interpretations of Jimi Hendrix) and that we will raise the flag for the 50th anniversary of the Woodstock festival. Soaré bjuds på en av dom äldre gatorna med historia från 1600 talet.Gatan slingrar sig ända bort till Bohusfästning i Kungälv. I ena endan av gatan kommer Magnus Rosén och George Keczan att bjuda på Soaré med klassisk musik, lite folkton samt klassisk musik av i dag.Musiken kommer bl.a från Johann Sebastian Bach, men också från Svenska folkvisor.Detta blandas upp i nyskriven musik av Magnus Rosén och George Keczan. 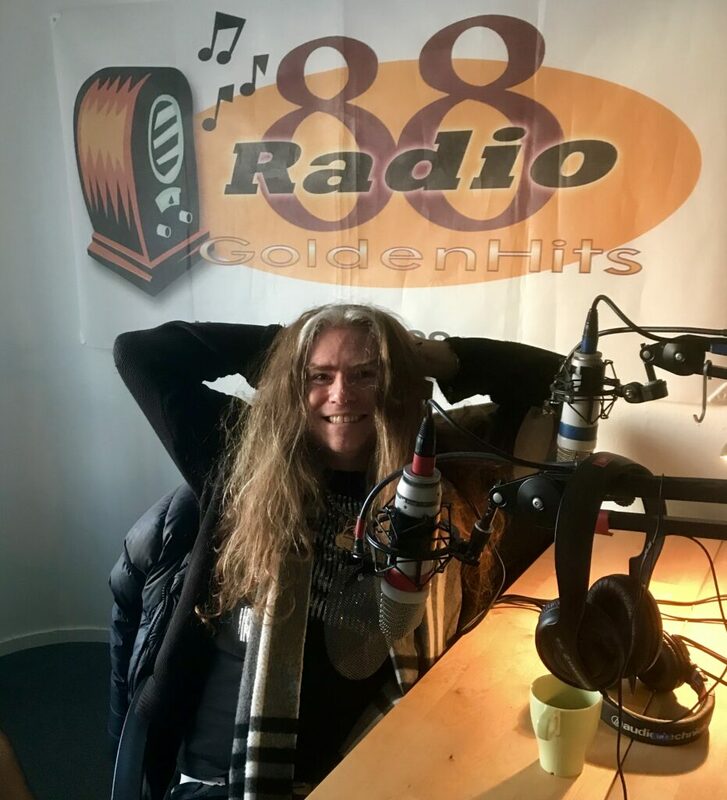 Today we got “Bleckhorn” heard with an interview on Radio 88 with the best radio guy Ronald L Ersson. Staying awhile on an old rust heap with a 100-year history is not wrong. Have just done 10 km of jogging in the forest, phuuuuu! (Not with the boots on) smile. Wish a good and nice weekend. I kväll lördag bjuder vi på lite trubadur på Restaurang Hyttan i Surte utanför Göteborg.Tid 20.00.Live Musik från 1950-2000 talet. Jörgen Alnevall & Magnus Rosén.Välkommen. My greatest gift I have received is probably the great desire for life and its diversity in culture / music. This is how my Biography became what the Music has offered during my 41 years as a bass player. Of course, I have not mentioned single gigs or only guest plays on different records, then it would be too much. There is also much more when it comes to charity, lectures concerts etc. But this is all in the big picture. Klas Magnus Rosén is a Swedish musician, born 1963 in Gothenburg, and is best known for being the bassist of the Swedish band HammerFall during the years 1997-2007. Magnus Rosén started to play bass when he was 15 years old. When he had played bass for three years he went on his first tour with the band Kung Sune. 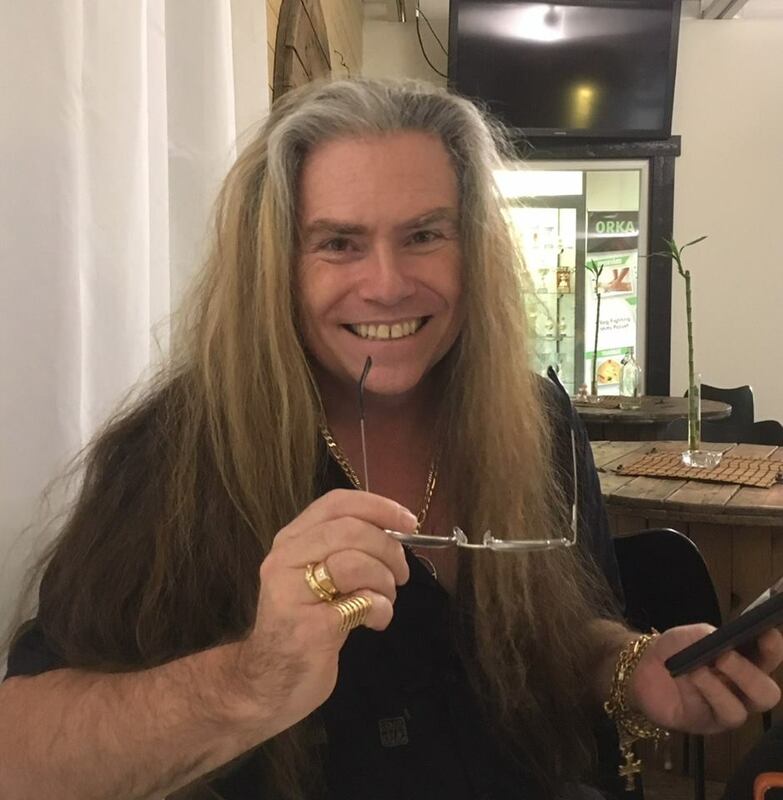 After the tour he moved to Los Angeles, there he played in many bands, like Billionaires Boys Club where future Hammerfall-bandmate Anders Johansson played drums. He became a member of the Swedish heavy metal band Hammerfall in 1997. 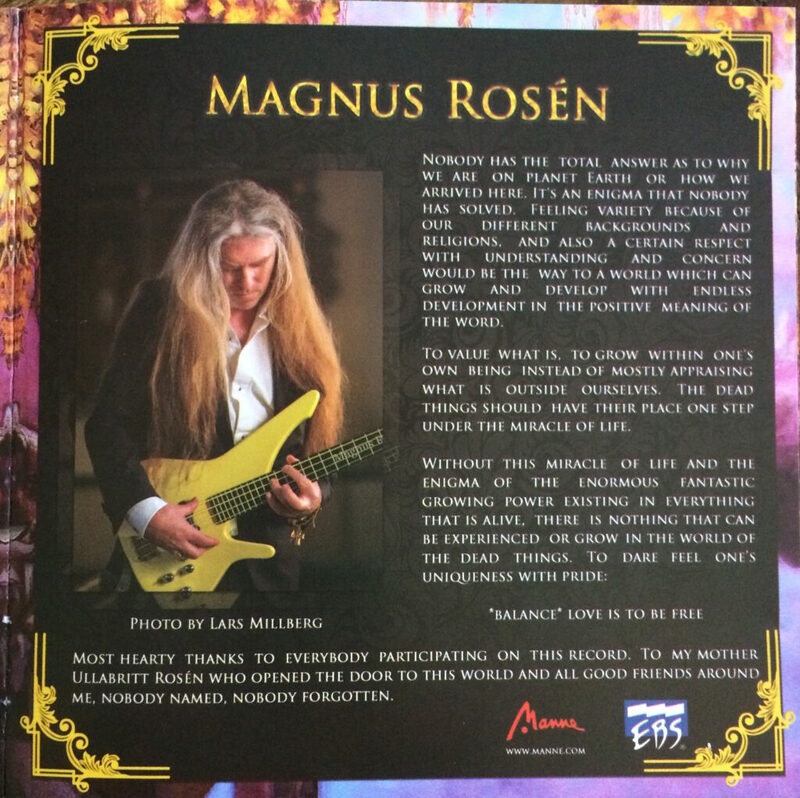 Magnus is also a jazz bassist, having recorded several albums of solo material. He occasionally does solo tours in South America, where he donates the profits to charity. On 7 March 2007 Magnus left Hammerfall to focus on his own projects. On 1 November 2009 Magnus joined ex-Stratovarius guitarist Timo Tolkki’s new band Revolution Renaissance. 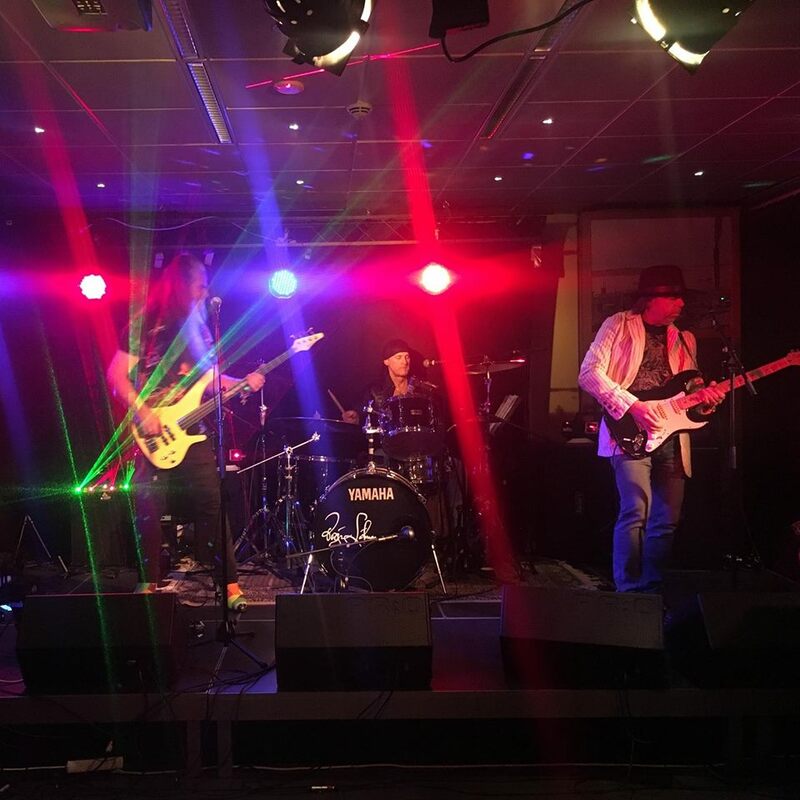 Rosén has recently become involved in former Black Sabbath vocalist Tony Martin’s live band, Tony Martin’s Headless Cross. 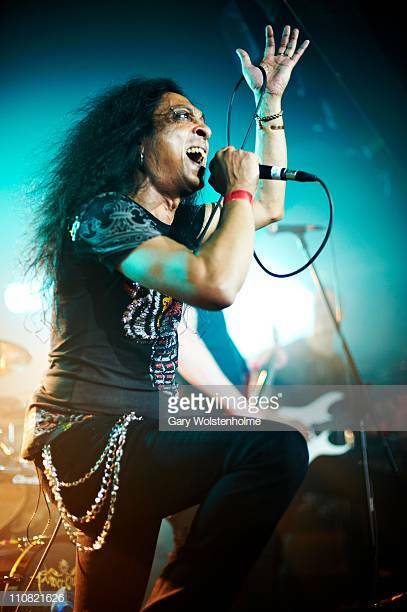 The band played their debut show on 27 July 2012 at The Asylum in Birmingham, UK. The show was filmed for a live DVD, and is intended as a warm-up for a full tour in 2013. In 2015, Rosén was announced as the new bassist for Brazilian heavy metal band Shadowside. In 2017, he also joined Spanish band Avalanch. Rosén also played with Joe Lynn Turner 2017 on a Scandinavium tour. Magnus Rosén is hereby named a Paul Harris Fellow ( Rotary )! In appreciation of tangible and significant assistance given for the furtherance of better understanding and friendly relations amog peoples of the world. And Sakuji Tanaka – President, Rotary International. 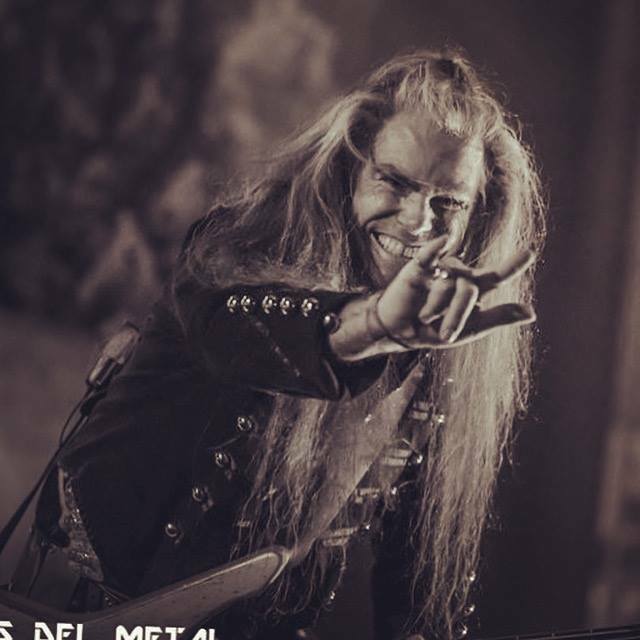 World bassist Magnus Rosén (ex Hammerfall) was awarded the Adlerbertska scholarship in 2012 by the society Gnistan. 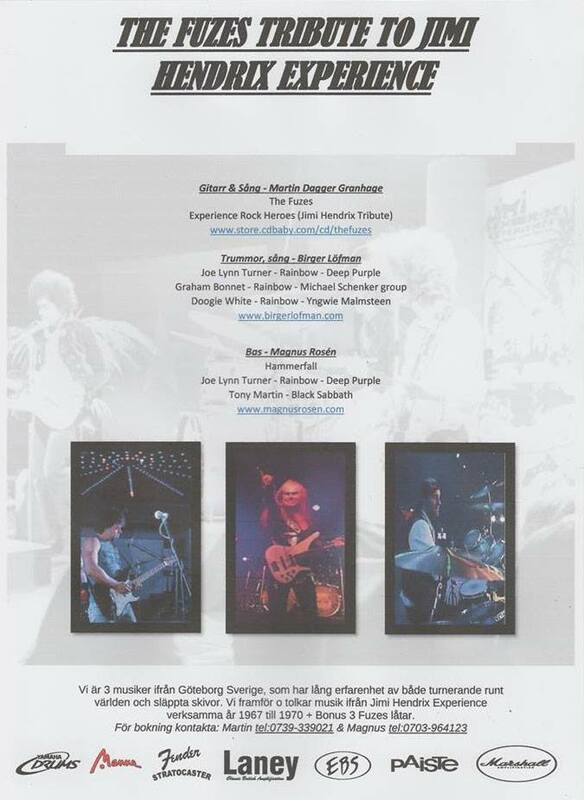 The scholarship was SEK 54,000 and Magnus told us that the money will be used for the recording of two new solo albums. The Government annually shares scholarships from the Adlerbertska scholarship fund to performing artists. 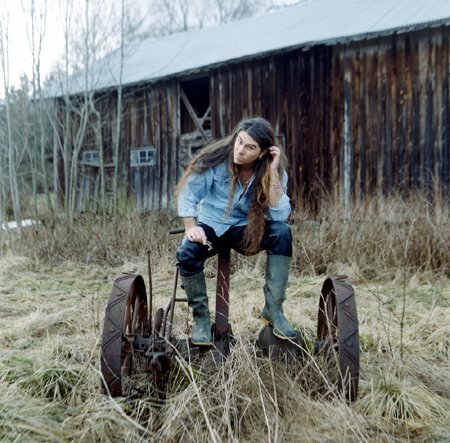 Magnus has the world as a work field and makes cross-border music with variation of traditional music making. Some examples of Magnus Rosén’s performances. Also Dance and Bass performance with David Zambrano. Europe masters for athletics 2006 with 100.000 in the public and 150 million tv wievers. Swedish Goverment delegation to China for health with bass instrument. Around 100 million TV viewers in Bangladesh with solobass for the Golden fiber JUTE. Heavy Metal world tours, and big festivals round the world. 3 solobass tours to South America for poor people. 2017 Tour with Avalanch in Spain, South America, Latin America Cuba. 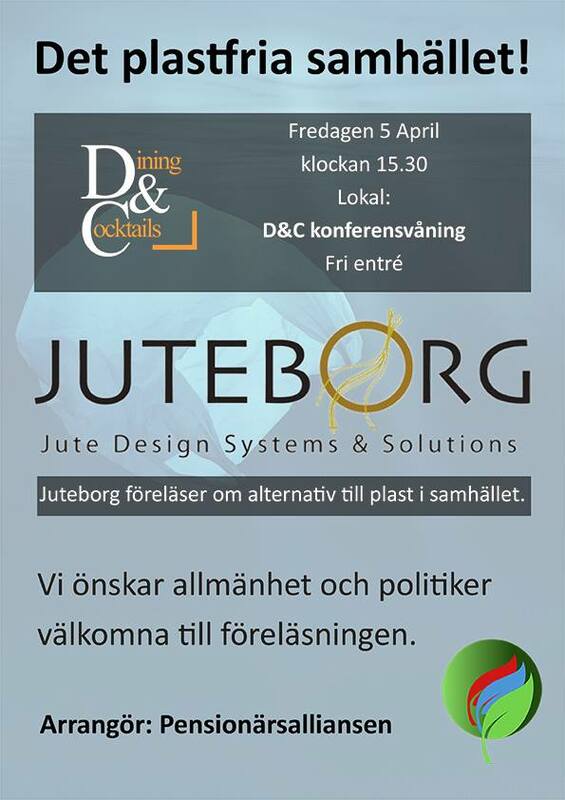 I morgon bjuder vårt parti Pensionärsalliansen på föreläsning med Juteborg. Ett av flera alternativ för ett plastfritt samhälle. Hjärtligt välkommen kl 15.30 i morgon fredag den 5 april. Bultgatan 40a i Kungälv Rollsbo.